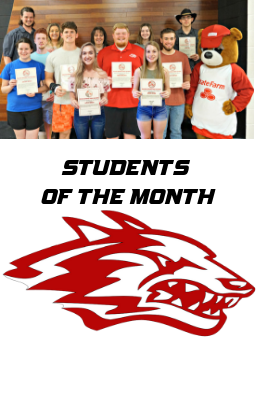 Reeds Spring High School recently recognized the Students of the Month for February and March. The recipients received backpacks full of goodies from Maureen Darby State Farm Insurance, Titanic Museum, and the Table Rock Lake Chamber of Commerce. Administrators will also take them out to lunch at Pizza by the Chef!